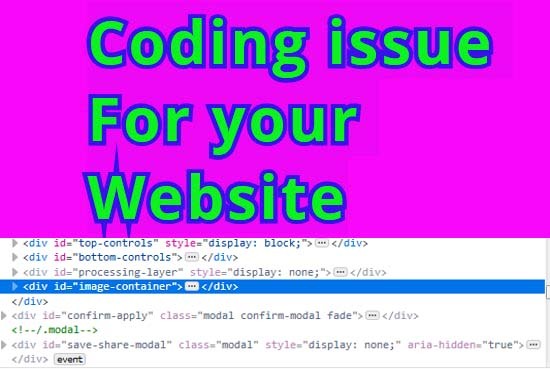 your website Any coding any issue Please cool and you have landed in wright place. I can fix any Any coding issue. I have experience from 5 years. I have team for web design. We have completed 100 plus projects .